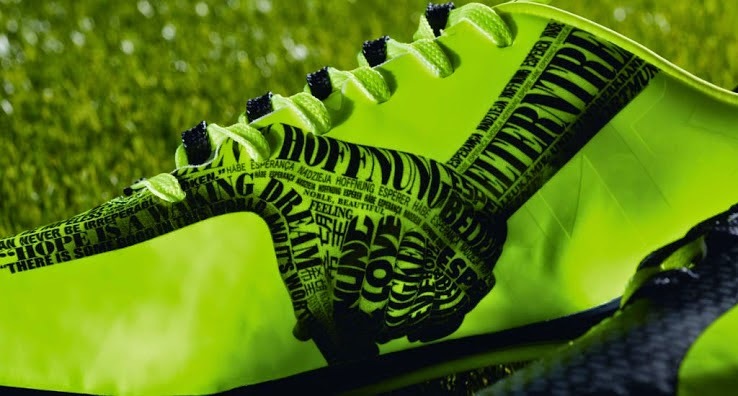 Puma is releasing the new evoSPEED boots designed by Marco Reus, and made exclusively for the Borussia Dortmund player. 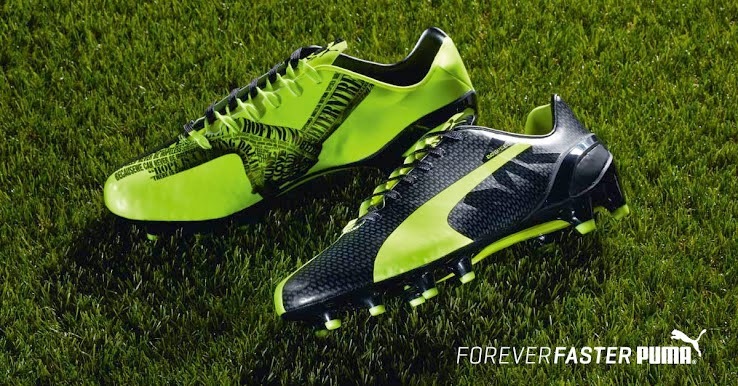 The color of the boots matches the Dortmund colors but there is more to the design than just colors. It is a long standing tradition that Dotrmund players visit a children’s hospital in Dortmund before Christmas in order to bring some joy to those kids that will be spending their holiday season in a hospital instead of being home with their families. The black part of the boot there is a graphic pattern representing the silhouettes of 6000 children who are patients at the hospital every year. The yellow inside part of the boot shows the hand of an adult holding the hand of a child with the word “hope” tattooed in different languages. 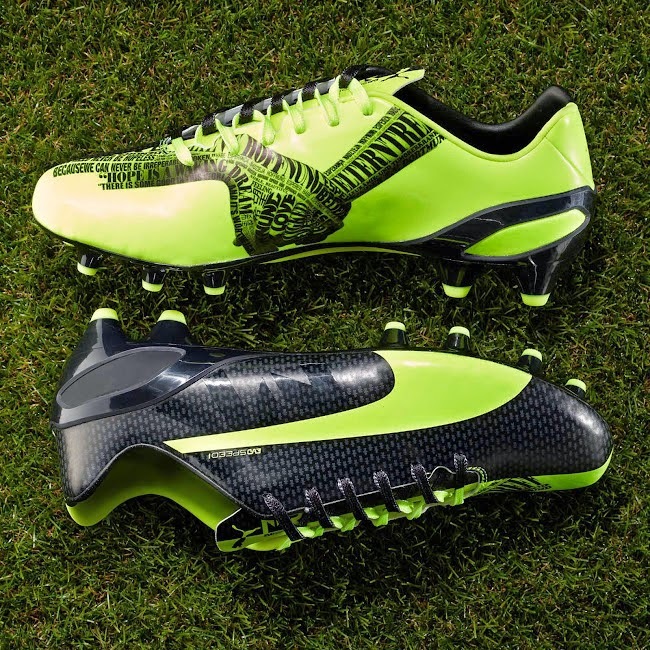 The Marco Reus evoSPEED use the same technologies as the evoSPEED1.3, the design is really what sets them apart. 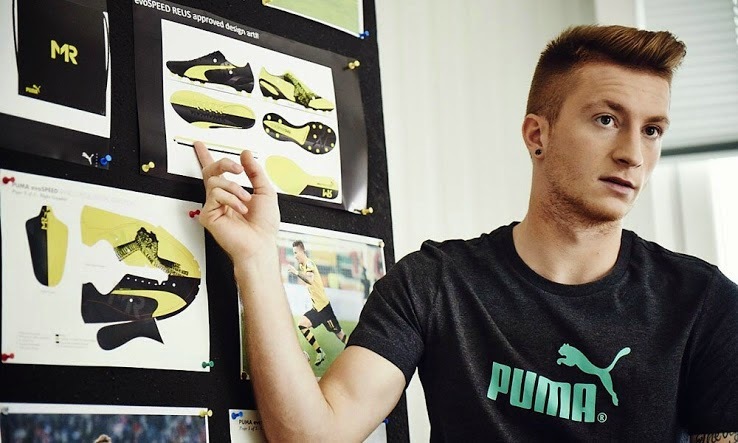 Marco Reus has never worn evoSPEED, he prefers the evoPOWER, but the company is hoping to have him as the face of the evoSPEED brand as they go forward. 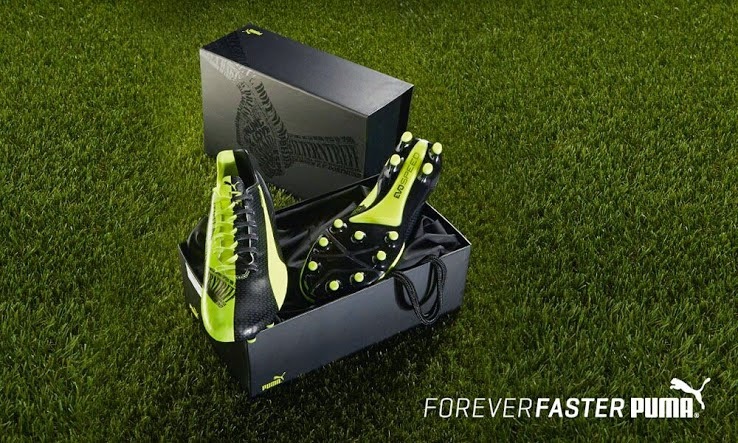 He is currently out with an injury so we won’t see him in the new boots until January.